Some refer to this particular area as the tulip petals. I see a lovely large sun rising over the mountains. 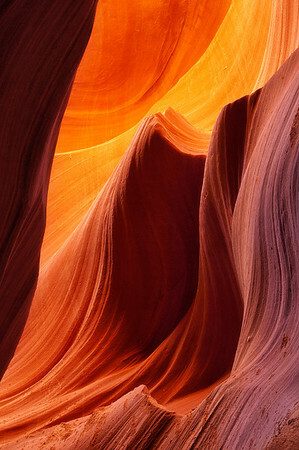 Lower Antelope Canyon, Arizona.